Good time management is one of your most important tools when researching. The research paper is a difficult mode of academic writing because you must research your subject, assimilate the information and organize it into a cohesive and effective argument. As for your research, it needs to be valid, current and, most of all, substantial. Obtaining and analyzing sources can be arduous, but by being methodical and organized, you can manage it and create the opportunity for yourself to write a successful paper. The biggest mistake you can make when writing a paper is waiting until the last minute to start, especially in the research stage. Begin researching as soon as the paper is assigned. This means choosing a topic (if you have a choice) and identifying potential resources: library databases and timetables for interlibrary loans, scholarly journals and potential interviewees. As with studying practices, you may be tempted to spend entire afternoons or nights researching. However, spending too long researching at one time can tire you out, which then reduces your ability to process and analyze your materials. Instead, plan research sessions that are only a few hours long at most. That way you can trust you will be clear-headed and alert enough to give your project the attention it requires. 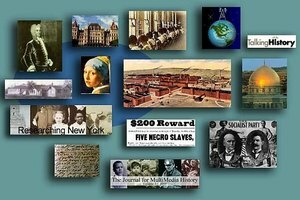 Primary sources are those that directly relate the events or concepts or experiences you are researching and allow you firsthand accounts that you can analyze. These sources allow you to draw direct conclusions regarding your topic while trusting that you are dealing with what can be considered a direct connection with the subject. For example, if the essay prompt requires you to analyze the nature of the Anglo-Saxon hero in "Beowulf," a primary source would be the epic poem itself. Secondary sources, however, are someone else's interpretations of your subject and add a degree of separation between you and the material. Secondary sources provide you with argumentative leverage in the form of opportunities to either agree or disagree with past analyses, which you can use as support or foils for your own assertions. Continuing with the Beowulf example, a secondary source would be a critical text about Anglo-Saxon heroism in Beowulf. Ideally, find both types of sources to support your thesis. Whether you use a program like EndNote, the end of a file in your word-processing program or just a spiral-bound notebook, keep lists of your sources, and organize them according to their roles in your research. Keep your primary sources in one list and secondary sources in another. Mark sources to indicate whether they support your argument or serve as points of contention for you to rebut. Also, keep track of sources you found useful but that ultimately don't have a place in this essay. You never know when you might need them again. Regardless of the fact that your contributions to your project are entirely your own, to think you shouldn't ask for help is a big mistake. Your teachers, librarians and classmates are all excellent resources for helping you with your research. All, especially your teacher, can help you identify the most reliable journals in your respective field, as well as whether your sources are current. For example, your teacher may agree that a particular journal article is valid, but she might be able to identify it as a rehashing of older, seminal work and then direct you toward that original material. Cascio, Christopher. "Good Research Strategies for Writing Papers." Synonym, https://classroom.synonym.com/good-research-strategies-writing-papers-27337.html. 26 September 2017.